As my series comparing life in Russia, Britain, and the US draws to an end, I rank them based on my own preferences – with the caveat that the perceptions of people of different temperaments, character, and socio-economic status may differ radically. Then I finish off with a brief overview of the main trends in these countries and their prospects for the future. There is a panoply of life quality indices available on teh interwebs, each more useless and less meaningful than the last. That is because quality of life is highly subjective and will have huge variations across different people and personalities, largely regardless of the weights assigned to particular measures such as “GDP per capita” or “atmospheric pollutants per urban cubic meter” or whatever. But ending with that conclusion, that each country is unique in its own way, lets gather round a circle and sing Kumbaya, yada yada yada, will I imagine leave most readers who have gotten this far unfulfilled, so I’ll spare you that BS and give you my personal rankings. The obvious caveat being that I speak only for myself, and perhaps those with similar character traits to myself. There are far fewer restrictions than in Britain, and the spice of life is much thicker, but not so thick as to engender the daily anarchy and unpredictability that is life in Russia. I think most Californians appreciate it. But despite it being one of the more bureaucratized and regulated US states, and its finances being in a public mess, and poor public schools and high rates of poverty, nonetheless most Californians still say that they wouldn’t want to live anywhere else. Though quite a few are now leaving it to seek better economic opportunities in states like Colorado or Texas, it is typically done with the firm intention of going back. 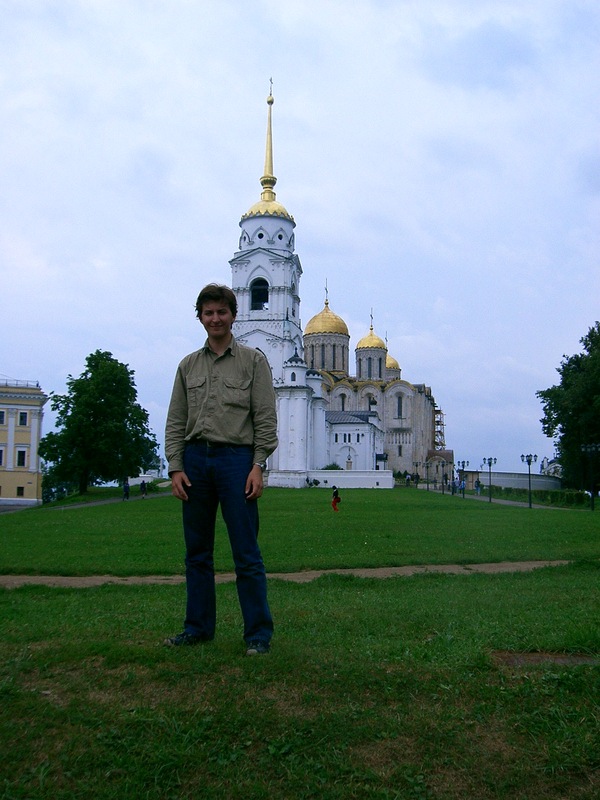 Me at an ancient church in Vladimir, Russia. Russia is second. Unpredictable and chaotic is also EXCITING. What will the day bring? Its daily life remains culturally insular, relatively speaking, but on the other hand its becoming rapidly globalized. Girls are prettier and more open. Intimate conversations about philosophy, politics, the meaning of life, stretch out over many cups of black tea into the early hours of the morning. Russia still has pockets of bucolic idyll (and, let’s not forget, poverty and alcoholism) that have long ceased to exist in the factory-farmed landscape of the US and Britain; albeit, they too, are dying out, as strip malls, fast food joints, brick dachas (as opposed to the old wooden izba), petrol stations and asphalt roads overspread the countryside, as advanced capitalism remakes Russia in its own image. With it also goes the old way of doing things. “Legal nihilism” doesn’t only suppress citizens and enhance bureaucratic power; it also ENABLES and FREES people, e.g. getting pirated software for pennies, or paying off a policeman for some minor traffic violation. It is insidious, but also convenient. These arrangements are, slowly but surely, coming to an end, as Russia becomes “Westernized” at an unprecedentedly rapid pace (even if, ironically, popular opinion is far less endearing towards the West now than in the 1990’s). This is probably for the better. Some aspects of the old Russia will be missed. But it will forgotten soon after the average Russian could afford to take a high-speed train from Moscow (or Voronezh) to the newly gleaming ski resorts of Sochi, or to buy a car on loans and drive it across modern highways. 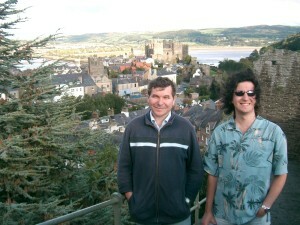 Me (right) at Conwy Castle, Wales. The UK is a distant third, after both Russia and the US. True, all things considered, it has the best healthcare system (for the average person, if not the rich), is much more transparent, driving is safer, it is to an extent more “civilized”… but it is also far more superficial and boring. It might have a decent welfare state (even if the current government is doing its best to dismantle it) and be relatively uncorrupt and transparent, but then again, the Scandinavian states – Sweden, Denmark, Finland, Norway – are far more so. Plus they have more social rights into the bargain. The Netherlands are both richer and more cosmopolitan. Obviously, it is better to be a low-wage worker than in the other two countries; a British £6.50 / hour wage with free healthcare beats a US $9 / hour wage with a minimal safety net any day of the week, not to mention a Russian $300 / month wage with theoretically free but inadequate healthcare. (But the social states of northern Europe are nonetheless far better; for instance, low-wage Swedes still get $15 / hour, and free healthcare and higher education to boot). There are, roughly speaking, as many restrictions as there are in Russia; but unlike in Russia, they are all actually rigidly enforced. The weather is bleak and rainy, the landscape uninspiring; unlike the US or Russia, there are far fewer natural wonders (though thankfully countries like Spain and France are nearby). 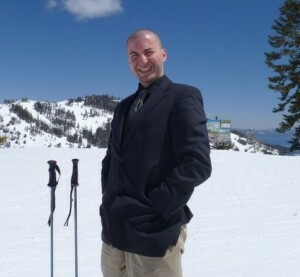 In conclusion, if you are in the working poor, or are a lower middle class who wants a high quality, predictable and safe life, then Britain is the country for you; but the adventurous are most at home in Russia, while the entrepreneurial and upper middle class and rich have the best time of it in the US. 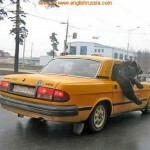 Russia in 2011 is an utterly different country from Russia in 2001. Only a decade ago, many Russians were deep in poverty; transactions were in cash, stored beneath bed mattresses or in safes, while in the villages outright barter was common; cell phones and computers were playthings of richer Muscovites; and the (much smaller) car fleet was largely composed of boxy, dusty Ladas with a sprinkling of dark-windowed BMW’s ferrying about oligarchs, bureaucrats and mobsters. Today, credit cards and loan-based purchases have become common in cities throughout Russia, extreme poverty has retreated to the margins, cell phones are universal, and many fairly ordinary families have acquired cars, computers, and Internet service. I would also estimate that corruption (both small-scale and large-scale) and social cohesiveness have improved, though merely from the very bad to just bad. This brings me to another point. 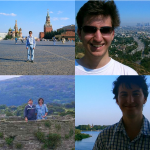 The last time I was in Russia (and Britain) was in 2008; the last time I was there for a substantial period of time was in 2005. So given the rapid pace of change, many of the impressions I have about the place are becoming obsolete. On the other hand, visiting Russia for small periods of time across gaps of several years has allowed me to take “snapshots” of progress in the country, which would not be as easy for someone who lives there permanently due to the “creeping normalcy” effect. Though people’s everyday concerns are dominated things like rising prices and poor government services, when one takes a big picture view, a fast rise in prosperity – which is broadbased across regions and social classes, not just concentrated in Moscow as in the 1990’s – is undeniable. (Though in truth, for the poor, most of these gains are just making up for the impoverishment in the wake of the Soviet Union’s collapse). Despite the 2008 crisis, the improvements feel like they will be sustained in the years to come. The overall impression I have of the UK during the period is stagnation. Except for state employees (e.g. 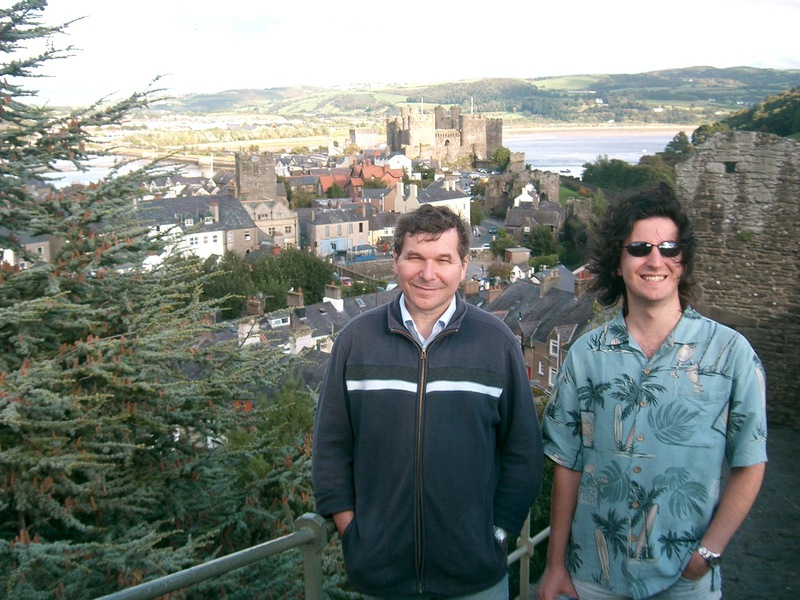 academics, doctors) and high-income earners (e.g. bankers), real wages seem to have stagnated. Civil rights and privacy have retreated. It is only in the past decade that Britain has filled the streets and squares of its cities with CCTV cameras. 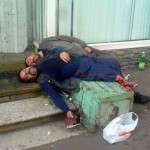 Binge drinking has increased. Though government services, like healthcare, have undoubtedly improved, their future is uncertain. Even during the mid-2000’s boom, the UK ran a deficit; since then, revenues from the depressed housing and financial sectors have plummeted, creating a 13% of GDP budget deficit black hole. Closing it will require more taxes (which the neoliberal Tories are averse to) or a sweeping downsizing of the social state (which is to be replaced by a “Big Society”, a parallel universe in which individuals, charities, and business will run libraries and children’s daycare centers for free). I do not think the UK has good prospects for the next decade. As I’ve only lived in the US constantly since 2008, I can’t really identify any strong trends in everyday life, though logically they would be closer to Britain’s stagnation than Russia’s recovery. As in the UK, its primary near-term challenge is the unsustainability of its fiscal position. The Republicans are deadset against tax rises, preferring more tax cuts for the rich and the wholesale dismantlement of America’s welfare state; the Democrats don’t want any serious cuts in social spending, and will thus have to keep on borrowing (the military and security agencies are sacred cows that no-one wants to touch). So I see the likelihood of the US resolving its fiscal problems in time to avoid a serious crisis as being very low; what would happen after that is anyone’s guess. In the meantime, I expect things to churn on, with continuing technological innovations; but with stagnant wages and stubbornly high unemployment, and roads falling into further disrepair in the margins (especially in near-bankrupt California).